Kratom is an evergreen tree from the Rubiaceae plant family found in South-East Asia. Kratom plants naturally come in three color strains – based on the colour of the leaf veins – green, white and red. 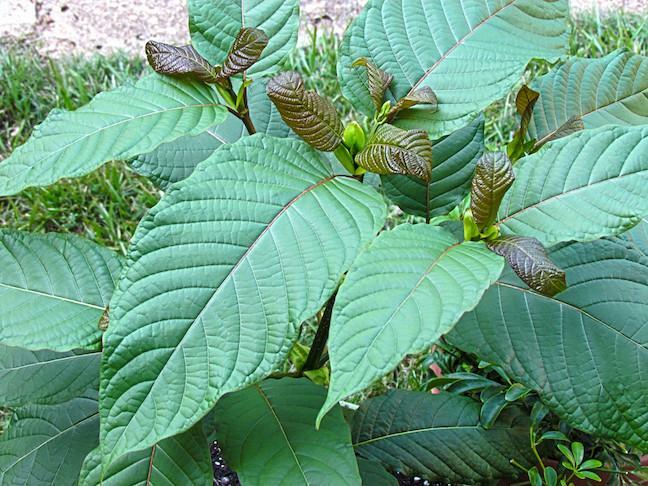 Red vein kratom is stronger than the green and white vein variety in terms of its relaxing effects. Locals in South East Asia traditionally used red vein kratom for receiving guests as well as in ritual worship. Recently, this kratom variety has gained popularity as a mood enhancer and to create a tranquil atmosphere that improves sleep. It is one of the well-known and well-liked kratom products. Kratom leaves have distinct vein colouration that gives them the different names. Trees of the red strain have bright red leaf veins have a greater mitragynine content. 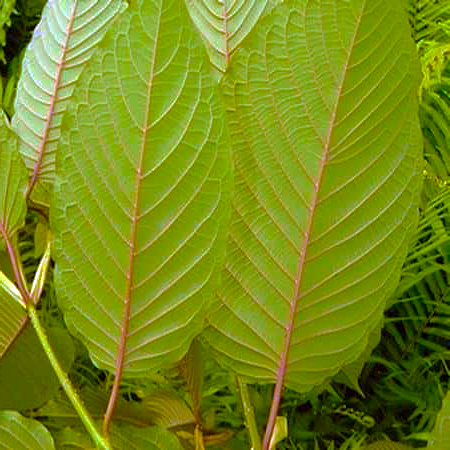 The chemical gives the kratom plants their strength– and makes the red vein the most potent kratom strain. It creates a calming environment, that makes one forget physical aches and pains, rest better and recharge faster – similar to a sauna or warm water soak. Because the alkaloids in the red vein kratom relax the muscles and encourage sleep, it is best to be used during the evening or night time – to create a restful environment in your house. Using this during the day may not be helpful if you have a very hectic schedule. Kratom in the house will make you put everything aside and take that much needed afternoon siesta! Red Vein Kratom is sold in the form of capsules, powder, tincture, and resin. Kratom powder – which is basically crushed, dry leaves – is a great option for purchase because it’s the most convenient and affordable to store and use. When using kratom in powder form for incense you need to measure usage amounts very carefully by weight. This kratom variety grows in South west Asian countries like Thailand, Indonesia and Malaysia. Based on the place of origin you will find different products like Red Maeng Da, Red Borneo, and Red Sumatra. While the major effects of all these categories are the same, there is a difference based on the strain. For example, the Red Maeng Da is more calming but will not make you very drowsy. The Borneo variant is stronger and better at soothing aching muscles. Let us discuss the three popular types of the red vein kratom. Red Maeng Da – The Maeng Da originates in the dense forests of Thailand. It contains a majority percentage of active alkanoids and flavonoids, making it one of the most potent Kratom varieties. It is long lasting, and very soothing, taking away any niggling pains and helping you sleep better throughout the night. Red Sumatra – The Sumatra variety originates in Indonesia, in the jungles of Sumatra – the sixth largest island in the world. Sumatra is a very premium quality Kratom, because it gives benefit even in small quantities. Every gram of Sumatra kratom will surcharge the environment, making you peaceful, stress-free and happy. Red Vein Borneo – The Borneo Kratom strain, originates in the tropical forests of Borneo, the third largest island in the world. Borneo is politically divided between three countries, but a major portion of it belongs to Indonesia. That is why new Kratom users sometimes get confused between the Bali and Borneo Kratom strains. However, Borneo is not as sedating as Bali, and can create a restful atmosphere without making you overly drowsy. Removes Fatigue – Are you always exhausted and not getting enough sleep? Perhaps, you want to sleep but are simply not able to? Say no more to sleepless nights! Use the red vein kratom to create a deeply restful atmosphere that will help you recover lost sleep and wake up refreshed an at your best. Stress Relief – If you are always worried or struggling with high levels of stress, this kratom strain will help you calm your mind and lift your mood. It creates a joyful atmosphere that generates optimism and positivity. Improve your Life – If the quality of your life is low because of constant physical or mental aches and pains, red vein kratom can help you. It creates an atmosphere that relieves all sorts of niggling aches and pains and improves the quality of your life. Confused between which Kratom strain is best for you? Should you choose white or red strains for your needs? Red and white are on opposite ends of the spectrum and create different effects. However, it must be noted that the two products are complementary. You may need to use both varieties, at different times, to get the full range of benefits that Kratom provides. Red Vein Kratom – The red strains encourage sleep and create a very relaxing environment. It is best to use this strain for incense whenever you want to create a restful atmosphere – for example, in the bedroom during late afternoons or at night. It will soothe the mind and help you unwind, release tension and relax. White Vein Kratom – The white strain, on the other hands is energizing and creates a productive environment. It is best to use it in the mornings or on a busy day. It will help you increase focus, face many challenges and accomplish more in less time! 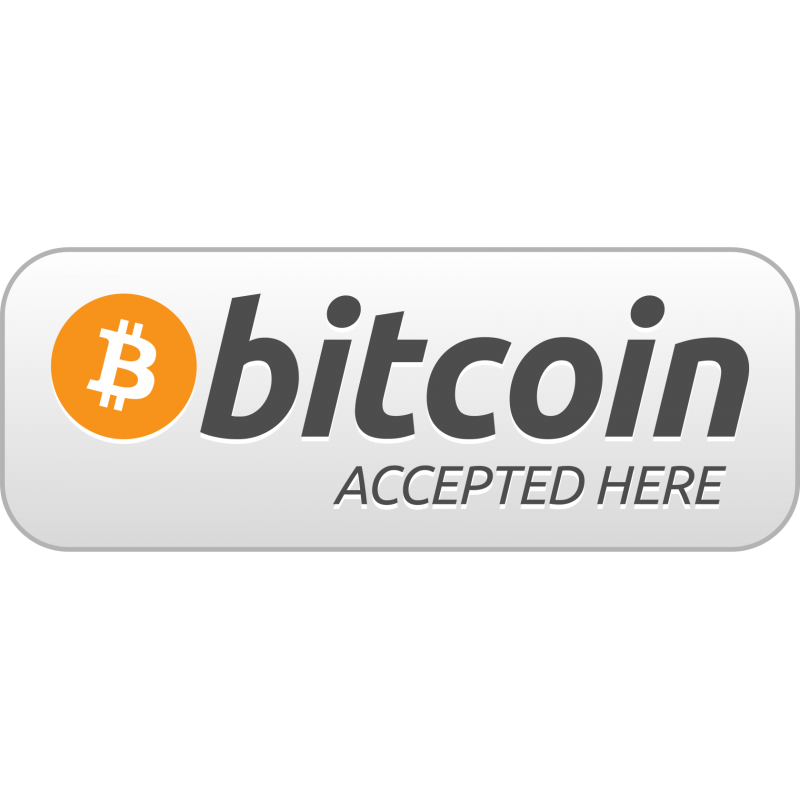 Always purchase red vein kratom from a reputable online source such as Kratom Sensation. There are many low quality substitutes out there. Different types of Kratom vary in the effects they generate. Measure your usage quantity carefully, based on your needs. We recommend starting with 2-4 grams and gradually increasing to 4-8 grams for incense depending on the effects you need. Some people are sensitive to the aroma of Kratom, so you will need to take that into account while deciding how much to use. Thanks for the info, this is one of my fav strain.